It has happened guys! The impossible has become possible. Over the course of the past week, Disney and Fox have been in talks to hand over all 20th Century Fox film rights to Disney, and Thursday (Dec. 14th), they have come to an agreement, and it only took a deal of $52 billion to make it happen! This of course includes Disney now owning the rights to all films that Fox has made, but that includes a couple important superhero groups...The X-Men and Fantastic Four. Now there is still many questions and concerns involving the whole deal and what it means for the future of the entertainment business, especially in legal battles involving Disney now in possible breach of having a Monopoly on the entertainment front, but that's not what I want to discuss. I want to talk about what this deal does for Marvel and it's already long standing franchise and cinematic universe in place. Although they now own X-Men, we are still going to be seeing such films as "New Mutants" and "Deadpool 2" next year, nothing can stop that. And for those of you concerned with "Deadpool 2" possibly getting pushed down to a PG-13 rating because it is apart of the House of Mouse brand, fear not. Director, David Leitch has already assured us that it will still be sticking with its hard R. But will that be the case for future Deadpool & Logan style films? Hard to tell. But I do want to point out the huge pro and con of (at least in terms of Marvel Entertainment) of this buy, the amount of characters that have now been brought home under one roof. As of now, the only properties that are not solely Disney/Marvel properties are the Spider-Man (still technically under Sony) and Hulk (still under Universal) franchises. But still, with Fantastic Four and X-Men, not only do you get the main characters, but all the characters that were originally introduced in their comics. In X-Men, it's not only the X-Men themselves; you also have characters like The Alpha Flight, The Brood, Hellfire Club, and Doop. With the Fantastic Four, you also get a plethora of galactic characters that can now be used for Guardians of the Galaxy film, characters like Annihilus, Firelord, and of course Galactus. But what can be so bad about having all these characters on the big screen? The same problem that they have been having in comic books lately, nothing is standalone for too long. In the terms of comic books, there are at least 4 events a year that involve everyone in the books in one way or another. Fear Itself, Secret Wars, Monsters Unleashed, Secret Empire, the list goes on. I know most of these are still very new and more than likely won't actually happen, but how long will it be before we start seeing signs of those mini "world changing" events, happen on film? And with that, it means they will have build a bigger universe to introduce more characters. Meaning more films yearly to build this all up. I personally would go to as many as possible, but looking at it through the mind of a non-comic reading person, it may get a little much. Having a film industry strong holding the competition with so many properties (and this is not including their Pixar films) Disney will own the superhero market and it may turn people away from going to the films. But, this is all speculation. I could be wrong, but I have to look at this from both sides. But let's look at the flipside of that, the more positive side if you will. And it's the same as the negative side. The amount of characters that Disney/Marvel can use in their franchise. Because they now have this vastly bigger roster to pick and choose from, hopefully, will still see more characters that deserve some a better origin story or off shoot film. Imagine a Fantastic Four film that people want to see? I know, that's hard to believe, but it could actually happen. You know, one with a better Dr. Doom that we all need to see. And for the X-Men, that's a harder thing to work around. With "X-Men Dark Phoenix" set to be out November of next year, it will be hard to say what the future will after 2018. Will they restart? My hope is to keep them separate as their own universe and hopefully won't cross paths with the rest of Marvel Universe...But then again, Marvel fans would go crazy for the "Avengers vs X-Men" story. There is still so much speculation and a lot that needs to be done, but these are just my initial thoughts as we move forward into this new frontier. I want to know what you guys think. 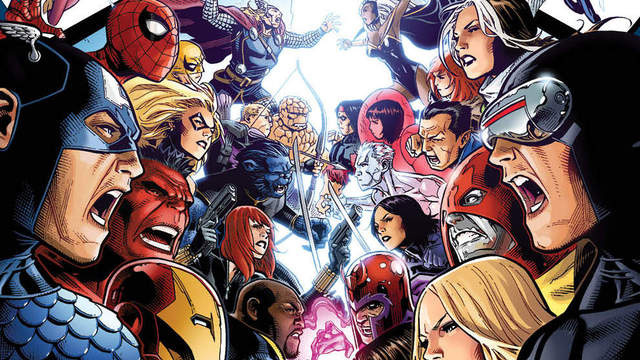 Leave your comments below and discuss the potential future of the Marvel Cinematic Universe!